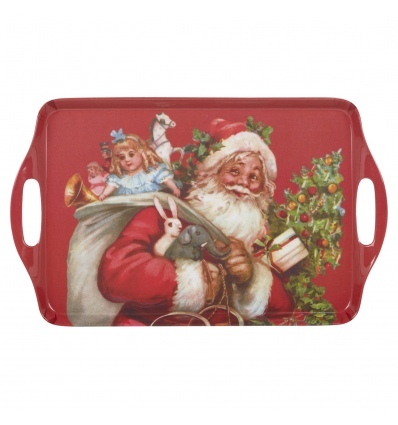 Inject a festive feel to your kitchen essentials with these charming Christmas themed serving trays. Designed with cute. Coming in a choice of styles and sizes , and with two helpful handles, these trays are perfect for being used as a decoration or a helpful tool for serving festive food during the holidays.